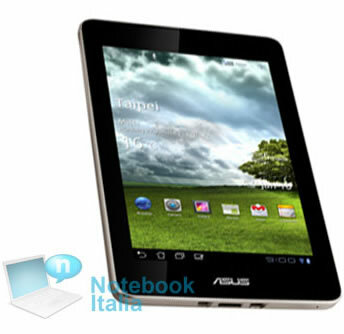 A leaked picture has lent credence to rumors about an upcoming mini counterpart to Asus' 10-inch Transformer Prime. It's still unclear whether there will be one or two 7-inch devices with speculation surrounding both a 7-inch Transformer Prime and a refresh to last year's Eee Pad Memo. Regardless, the grapevine is convinced at least one or perhaps an amalgamation of the two will debut during this year's Consumer Electronics Show. Published by Notebook Italia, the picture reveals a tablet with similar aesthetics to the Transformer Prime and less so of the Memo, which has a bulkier bezel. That particular site is convinced the mini Transformer will be a separate device, though it doesn't have any specifications besides those dictated by common sense: a hardware keyboard attachment, Android (presumably Ice Cream Sandwich), and an affordable price ($299ish). Notebook Italia believes the revamped Eee Pad Memo will carry a 1280x800 capacitive display, a 1.2GHz Qualcomm Snapdragon processor, 16GB to 64GB of integrated flash memory, Wi-Fi and 3G connectivity, as well as Ice Cream Sandwich being a distinct possibility at launch. Additional details are sparse, but considering its name, it's probably safe to assume the device will support pen input accompanied by handwriting software. Asus' products will compete with countless other second-gen units in the 7 and 10-inch form factors. Unfortunately, it seems little has changed from last year's landscape. The market should be slightly less cluttered with some PC makers focusing on Ultrabooks instead of tablets, but the first half of 2012 is bound to be dominated by Apple's iPad and Amazon's Kindle Fire with an array of marginally successful Android devices.